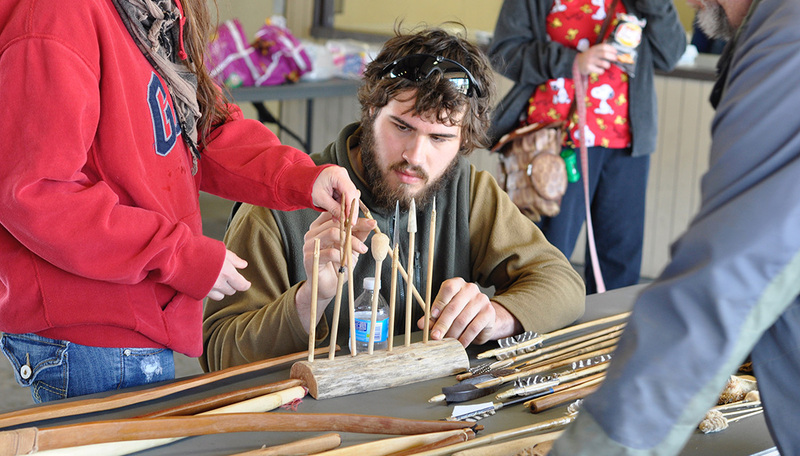 Many bows, arrows, points, and other replica tools were on display for the public during Arkansas Archeology Month 2015. Photo by Marilyn Milton. 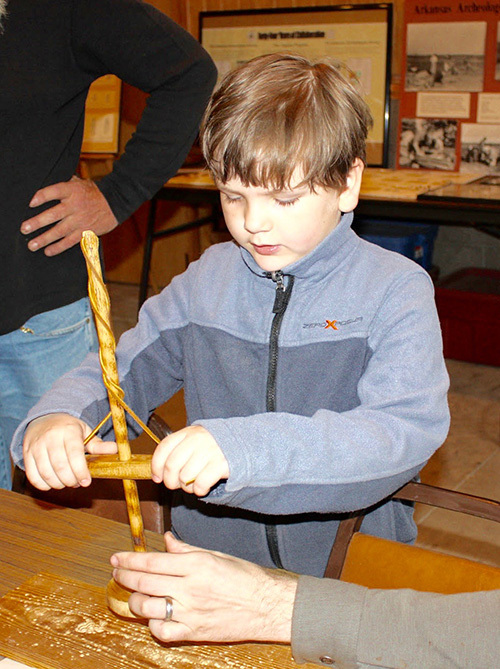 A local student tries his hand at using a replica drill at WRI Research Station's Open House during Archeology Month. 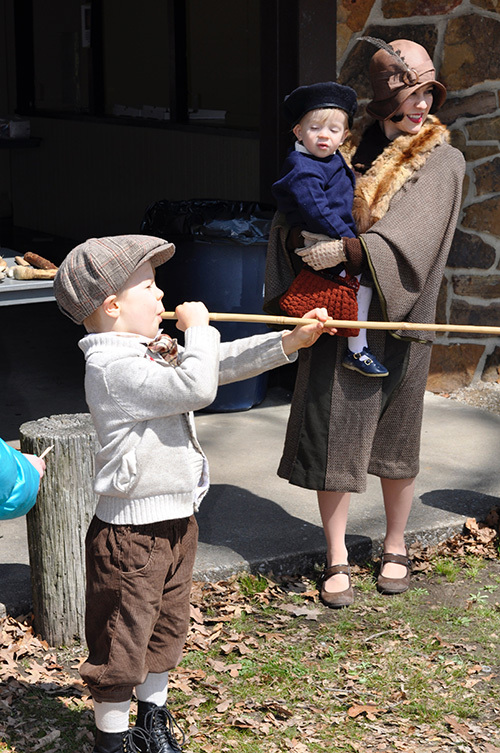 A young participant tests his skill with a blow gun during Archeology Day in Fayetteville. Society member Paul Knapp tries his had at flint knapping. Photo by Marilyn Milton. 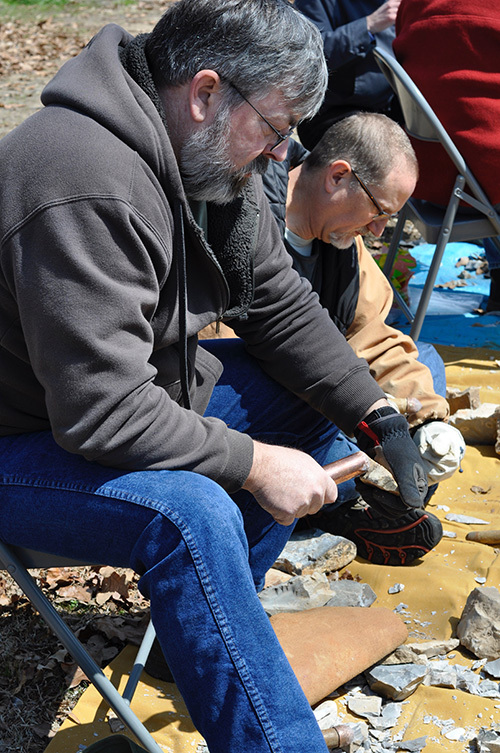 Aspects of Arkansas historic and prehistoric archeology were shared with some 1,400 individuals through 52 programs held at 35 venues around the state. Many of the programs were shared via Society, Survey and Chapter Facebook pages and other social media outlets, which included information on the activities as well as photos. Programs were also written about in newspapers and communicated to the public through television and radio. In addition, a Governor’s Proclamation was received from Governor Asa Hutchinson declaring March 2015 Archeology Month! Visit our Archeology Month page to learn about events taking place this March! State Parks: Davidsonville Historic State Park, Hampson Archeological Museum State Park, Jacksonport State Park, Lake Dardenelle State Park, Parkin Archeological State Park, Pinnacle Mountain State Park, and Toltec Mounds Archeological State Park. Museums: Arkansas State University Museum, Arkansas Tech University Museum, Delta Gateway Museum, Log Cabin Museum, Shiloh Museum of Ozark History, and University of Arkansas Museum Collections. Libraries, Colleges & Others: Arkansas Tech Anthropology Club, Arts and Science Center for the Southeast, Butler Center for Arkansas Studies City of Fairfield Bay, Delta Rivers Nature Center, Henderson State University, Ko-ko-ci Chapter of the Arkansas Archeological Society, Lakeport Plantation/Arkansas State University, Ouachita Chapter of the Arkansas Archeological Society, Rick Evans Grandview Prairie Conservation Education Center, Southern Arkansas University, Tunican Chapter of the Arkansas Archeological Society, University of Arkansas Little Rock, and the Winthrop Rockefeller Institute. 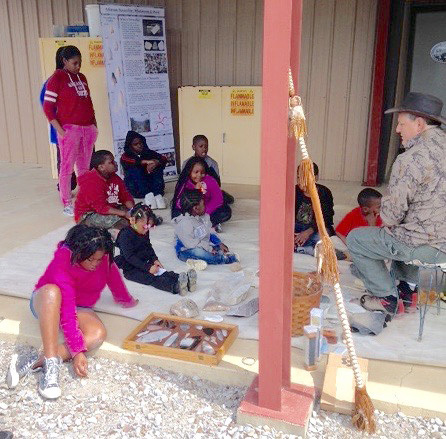 An instructor shows school children a variety of replica stone tools at Grand Prairie Conservation Education Center. Photo by Caleb Coulter. Special thanks go to Archeological & Environmental Consultants L.L.C. in Austin, Texas and Parkin Archeological State Park as well as the Bill Jordan Public Education Fund for their donations in support of Archeology Month 2015. The Archeology Month poster was sponsored by the Arkansas Archeological Society. It featured the 2014 Society Training Program with a picture of participants and excavations in the field and was included in the national display of Archeology Month Posters at the 2015 Society for American Archaeology meeting in San Francisco, California. Many thanks are given to all those who provided programs, donations, volunteer hours or participated in some way to make Archeology Month 2015 a great success. 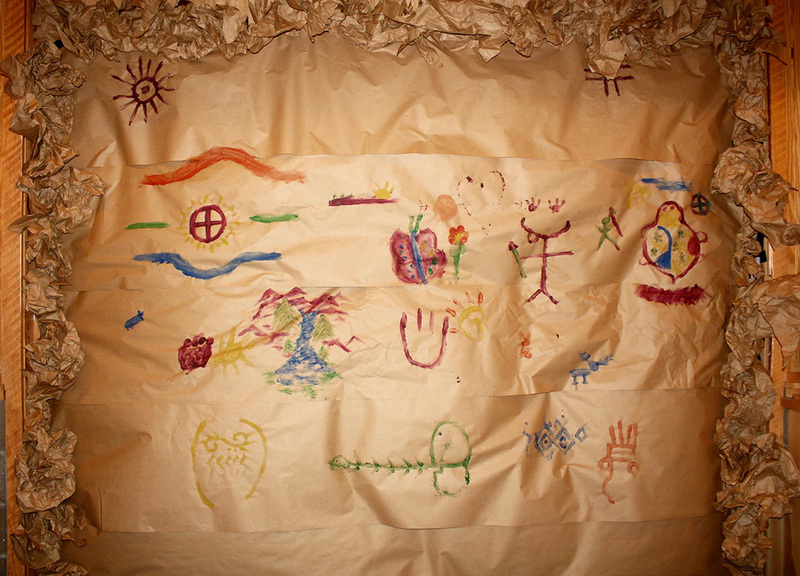 Participants were able to create their own rock art on a wall provided by WRI station archeologists.